An exhibition of works by Giuseppe Briffa is being held at the Banca Giuratale in Victoria. 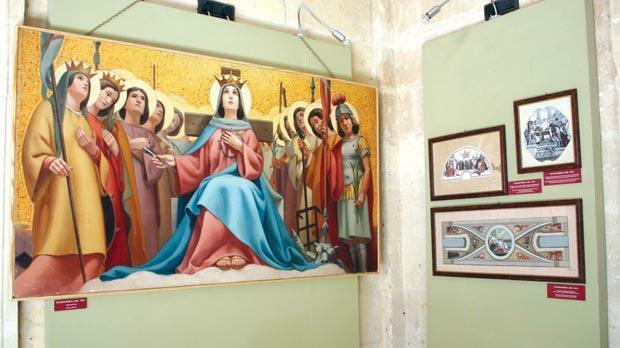 The exhibition, courtesy of Ta’ Pinu Sanctuary, was inaugurated by Gozo Minister Anton Refalo. Among the works exhibited are the abbozzi of six paintings for the mosaics found at Ta’ Pinu Sanctuary. The paintings were restored recently. Briffa attended drawing lessons at the Malta Society of Arts, Manufactures and Commerce, and when WW I ended, he studied colour under the tuition of Edward Caruana Dingli. As time passed, Briffa concentrated on drawings from life and had the opportunity to study the drawing portfolios of sculptor Boris Edwards. Present for the inauguration were also his children Giovanna and Alfred. Briffa died in January 1987. The exhibition, which closes on May 31, is open Monday to Friday from 8am to 2.30pm, while on Saturdays and Sundays it opens from 9am to noon.